Warm, personable and always focused on her clients' wishes, Meghan has excelled at creating beautiful nails for over a decade. 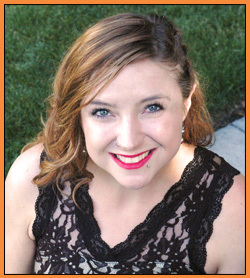 Meghan is a licensed nail technician originally trained at the Antoine Du Chez Academy. She offers a wide range of natural nail services including manicure and pedicure services as well as Shellac, Gel Polishes and Minx Nail Art. Meghan is dedicated to making her clients feel great about how their fingers and toes look when her work is complete and she strives to form lasting relationships with each of her clients. Meghan is experienced with CND, Gelish, Minx, OPI, Essi, Zoya products and provides a full range of manicure / pedicure services – from a quick polish change to a full Spa service including exfoliating scrub, paraffin wax treatment and hand massage.